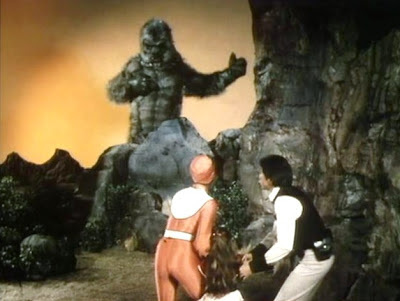 This week, on Jason of Star Command, Jason (Craig Littler), Samantha (Tamara Dobson) and Professor Parsafoot (Charlie Dell) rescue a young girl, Heidi (Heather O’Connell) from a spaceship crash on a desolate planetoid. Unfortunately, strange things are afoot there. Dragos (Sid Haig) has shown an interest in the mission, and worse, Heidi’s toy doll, Mimi seems to be alive. Even as Dragos dispatches Queen Medusa (Francine York) to the planet, Jason learns that Heidi’s father is a renowned scientist, Eric Van Demon. But where is he, and what’s become of him? What was he working on before he disappeared, and what does Dragos want with him? 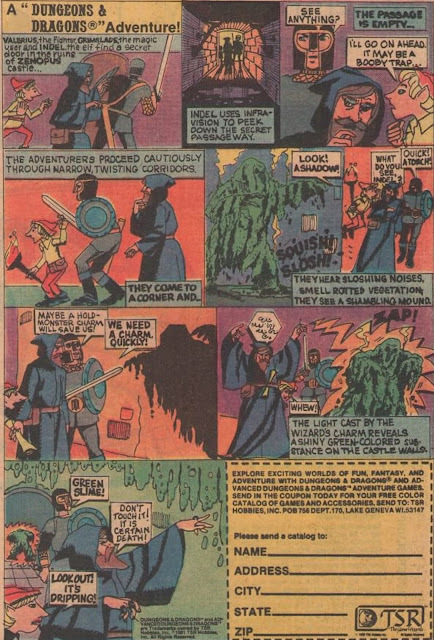 The special effects are again incredibly good for a 1970s Saturday morning adventure, and this week we get to see Jason and his friends go toe-to-toe with a giant, ape-like monster. It’s a man-in-a-suit, not a stop-motion creation (Think the 1976 King Kong), and yet it still looks pretty good. 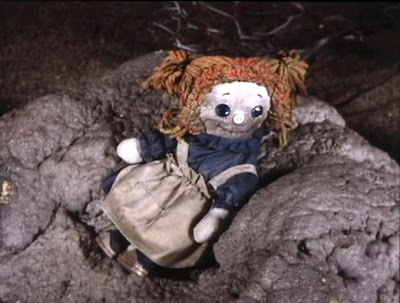 Mimi – the living, and apparently malevolent doll – is created through stop-motion animation, however, and she’s very creepy, even though at this point we don't know her motives. One of the reasons I continue to find Jason of Star Command so visually impressive is the care in the vetting of the miniature effects. For instance, this week, Samantha takes off from the planet in the Star-fire capsule, leaving the body of the vessel on the ground. 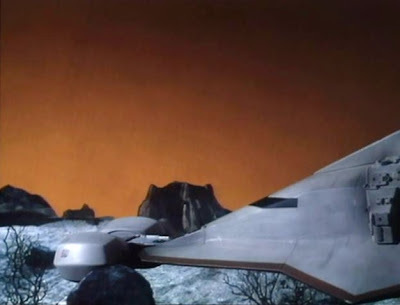 Throughout the remainder of the episode, the miniature is seen landed on the surface without that pod, which accurately reflects the story. This was something that a contemporary, prime time series, Buck Rogers, didn’t always get right. 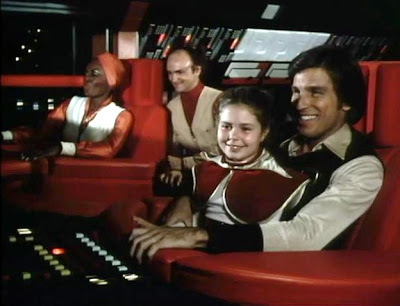 If you watch Buck episodes closely, there are constant special effects mismatches with the miniatures, particularly with the Directorate starfighters (two seaters vs. single seaters). The Jason special effects are emblematic of a lot of love, and a tremendous attention to detail. If only the stories here were a little deeper, a little less bad guy vs. good guy. But of course, as I have written before, the show was aimed at children, so thematic complexity just wasn’t in the cards. Which is too bad, because the production looks so good. John I agree with your praise of the miniature effects and continuity. Filmation did a great job on Jason Of Star Command and Space Academy that rivals any late '70s prime time series.